Well, we crossed the 1,000+ pageview mark actually a while back, but never did anything to commemorate it. SO! Here's what's on the agenda: Coming up this week is JTT #7! But let's just sit back and enjoy today. 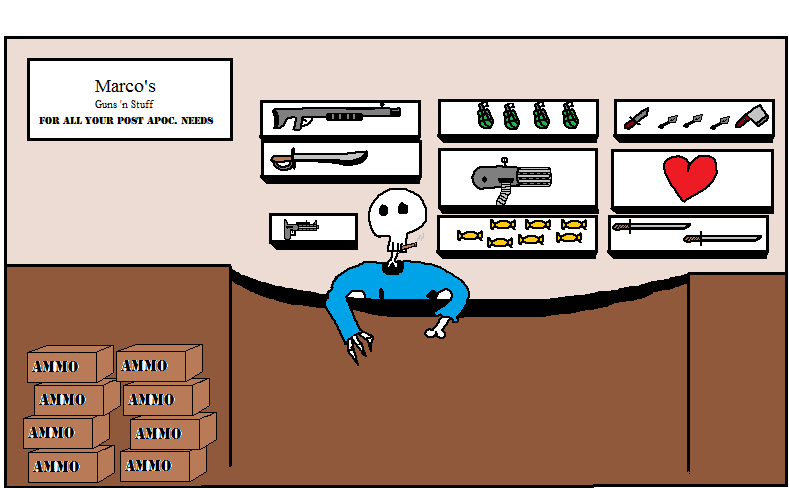 In commemoration of this monumentous moment, let's find out where one buys what they need when the end of the world strikes: Marco's, a weapons shop owned by an undead proprietor. Cheers!